Here’s my story on how my wife and I finally escaped the grind at the age of 34 for good. It turns out that if you regularly work on something for years, good things happen. 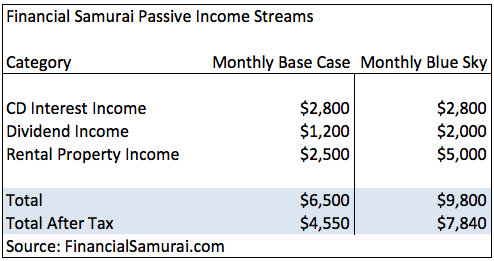 After almost 10 years, Financial Samurai not only continues to be my favorite hobby, it also generates some supplemental income to help us continue building more passive income in order to remain free. 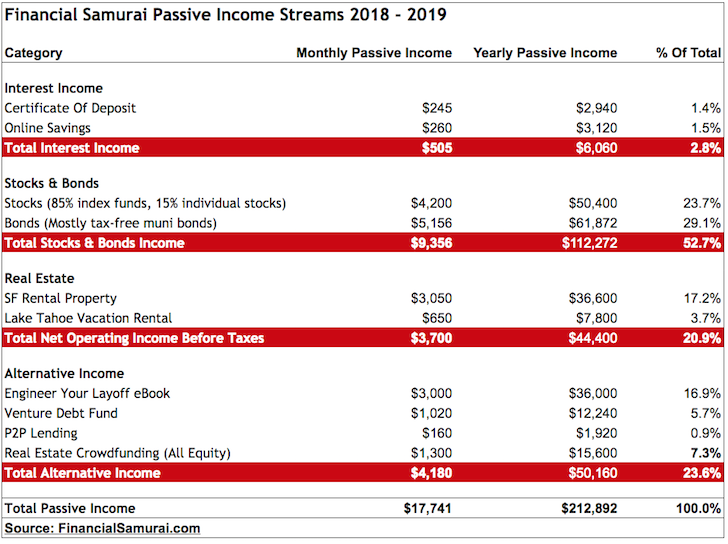 In order to live off $213,000 a year in gross passive income in expensive San Francisco, we own a humble 1,920 square foot, three bedroom, two bathroom home and drive a car worth less than 1/10th our gross income. We never buy any new clothes and we take full advantage of all the free things the city has to offer during the weekdays. $213,000 a year might sound like a lot to you, but the median home price in San Francisco is roughly $1,600,000, or almost 8X our annual passive income. For a family of three in 2018, the Department of Housing and Urban Development [HUD] declared income of $105,700 or below as “low income.” Therefore, I consider us firmly in the middle class. To us, the sacrifice was well worth it! And I strongly believe the sacrifice will be worth it to you as well. 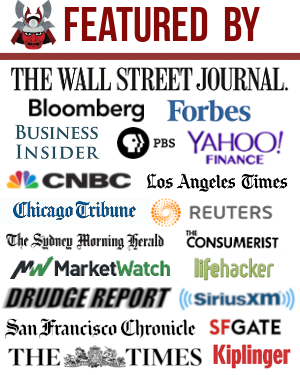 About the Author: Sam began investing his own money ever since he opened an online brokerage account in 1995. 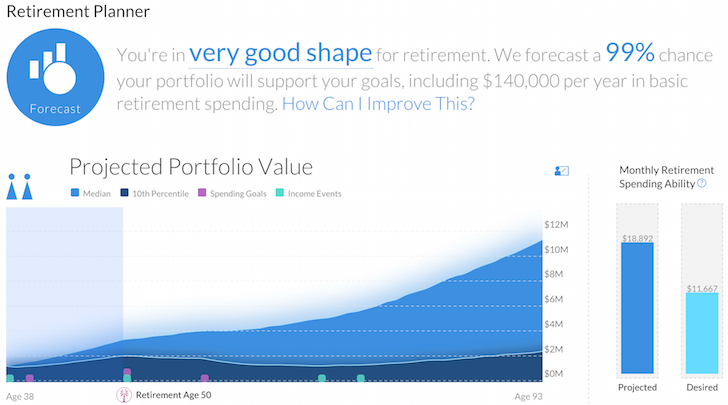 Sam loved investing so much that he decided to make a career out of investing by spending the next 13 years after college working at two of the leading financial service firms in the world. During this time, Sam received his MBA from UC Berkeley with a focus on finance and real estate. He also became Series 7 and Series 63 registered. 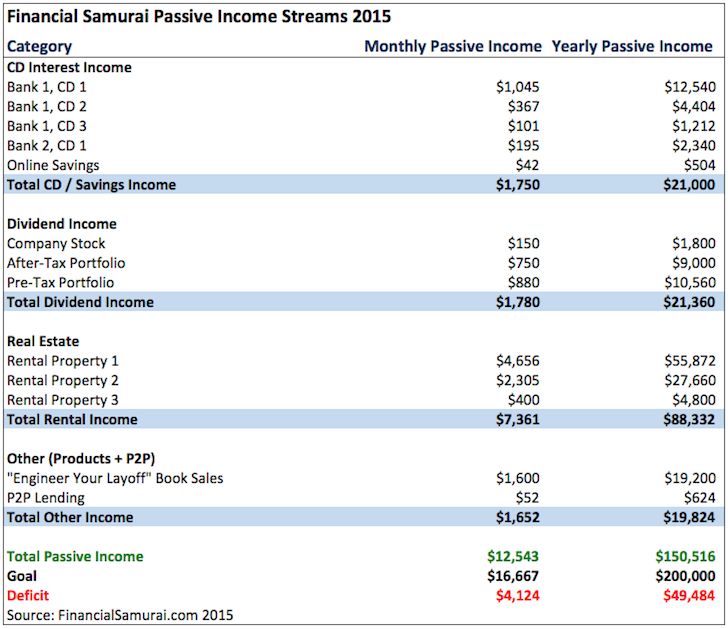 In 2012, Sam was able to retire at the age of 34 largely due to his investments that now generate roughly $200,000 a year in passive income. He spends time playing tennis, hanging out with family, consulting for leading fintech companies and writing online to help others achieve financial freedom.